On the campsite you’ll find shady and sunny pitches, on a gentle slope. Many trees, shrubs and hedges, everywhere one hears birds. 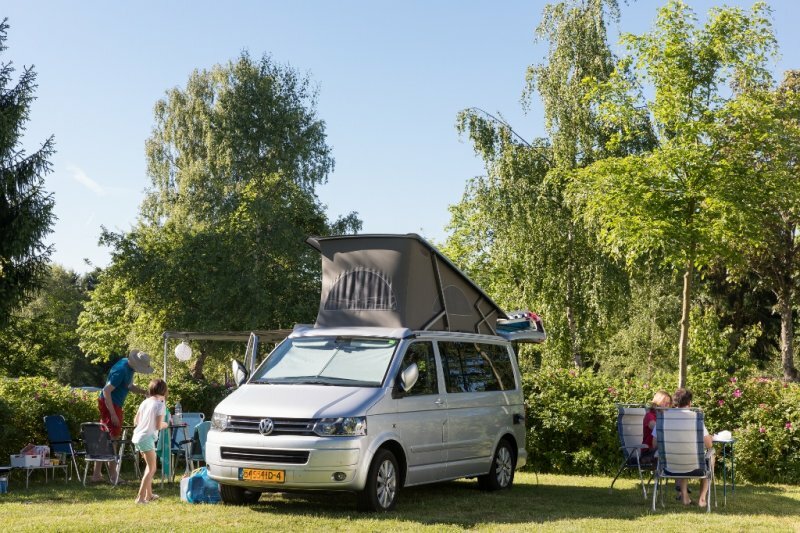 Along with your booking, you can quote your preferences for the pitch, regarding for example shade, distance to sanitary building and swimming pool and the dimensions of your camping equipment. This will help us to keep the perfect pitch for your needs. Of course you can also ask to be pitched next to friends or family. All pitches have 16 amps electricity connection and the WiFi covers the whole area. 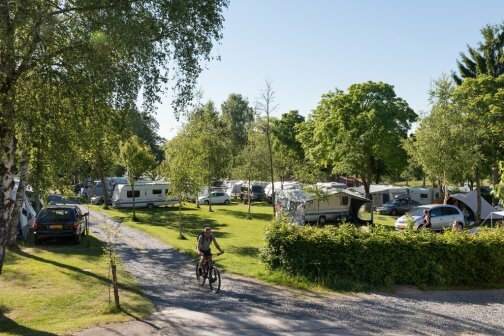 We have dedicated pitches for motorcaravans, where you can pitch on level ground with a hardstanding site. Quick Stopp for 1 night gives 25% discount (arrive after 19:00h and leave the day after before 09:00h). 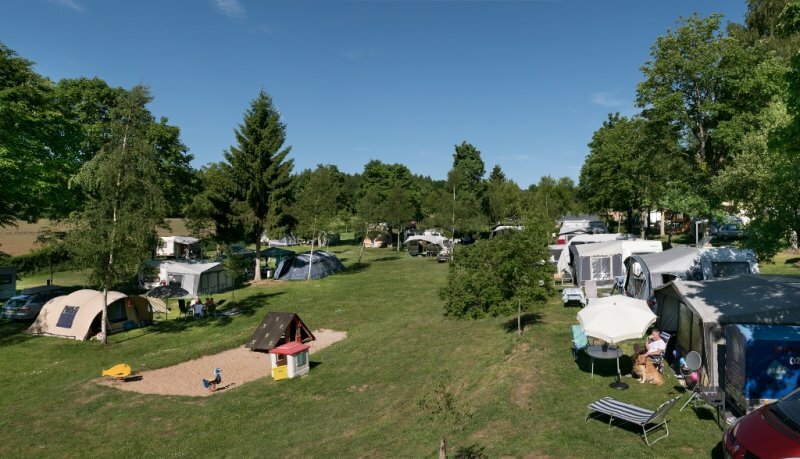 The campsite is open from March 1st till November 8th, making it an ideal stopover on your way to southern or eastern Europe. The well-stocked food and supplies-shop, with fresh bread every day, is open in low season as well. We can supply you with campinggaz and Calor Gaz, as well as unleaded petrol. The laundry comprises washing machines, dryers and a tumble-dryer.